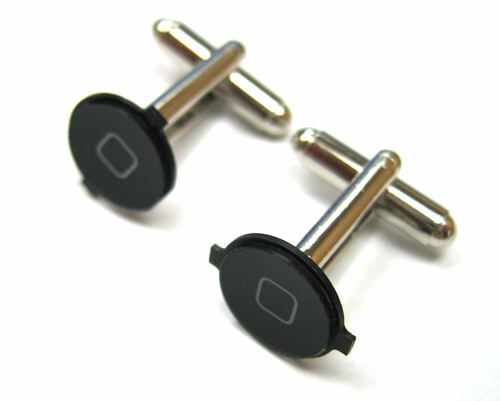 They’re Back … iPhone Earrings, Tie Tacks, and Cufflinks! 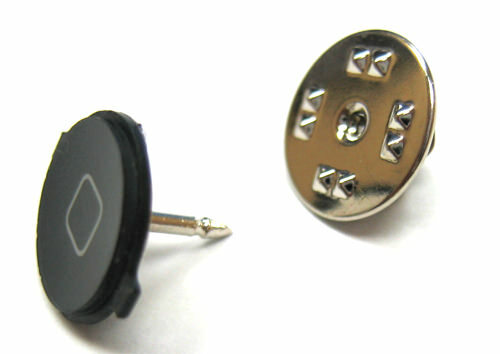 Back by popular demand for the 2011 holiday season is our line of iPhone inspired jewelry made with iPhone Home buttons. Below are the products available this season. Why give the same old gifts, when you can give the nerd in your life a truly unique gift this year. Have a friend that’s hard to shop for? Or do you just like to stand out in the crowd? Check out the top 5 Weirdest iPhone and iPad Accessories for 2011. Sure to find something that will make heads turn. Ok, so maybe this isn’t weird, but it sure is darn cute. And you can bet not everyone will have one! Fully Functional Mickey and Minnie Ear charge dock for iPod and iPhone. Includes colored wall and car chargers; with 2 sets of charge cables. If Minnie isn’t your thing, its also available in Mickey Mouse. It isn’t easy being green. This special edition, elastomeric coated, Disney Clip Case improves grip, and protects your iPhone from drops and scratches. Providing full access to all ports and buttons, Disney Clip Case offers a small footprint with its slim design, without giving up durability. Also available for your iPod touch. And if Kermits not your thing, check out our other Disney cases. This is also on our Top 10 Best Selling list! This sleek protective case for the iPhone 4 doubles as a bottle opener. Need we say more? Don’t worry. The case is designed to absorb the shock of bottle opening rather than putting the pressure on the phone itself. The case also comes with a free app that counts the bottles you open, and allows you to play sounds and display pictures every time a drink is opened. A cute, interesting speakerphone developed for those who need a good audio quality as well as ease of control. Speaky is the first Bluetooth carkit in market which enable automatic switch on/off functions. Its also a great conversation starter. And as if it couldn’t get any better, its also available here in pink! By far, the weirdest thing we sell. These cases are sure to get a laugh. Made for children (but I know a few adults who would like one too. ), the Mugtuk Monster case is the first of it’s kind. Combined with the Mugtuk Monsters App it creates the interactive plush friend for your child. The “Tuk” act as a lovable case that your iPhone or iTouch slides into. Each Mugtuk Monsters case is designed to fit each Mugtuk Monster App character, but are interchangable so you can chose your favorite case or have them all. There is the Maggie Monster Case, the Bubba Monster Case, the Charlie Belle Monster Case, and the Tim Monster Case. And make sure you read the descriptions, they are almost as funny as the case itself! Check out our full line of accessories here! Whether you’re looking for the perfect gift or shopping for yourself, we’ve taken the guesswork out of finding the right accessory for your gadget. Here’s a list of our top ten best selling accessories for 2011… let the countdown begin. Pure and Simple. This case is the perfect complement to your smart cover, and works hand in hand to provide additional protection for your iPad 2. The backbone case protects your iPad 2 from dust and scratches while still allowing access to all ports. 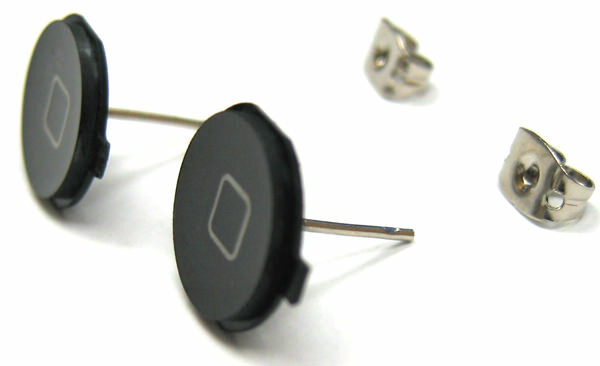 Installation is a snap, and the case comes in several different colors including white and clear. Designed with the busy user in mind, the Handstand 2 is the perfect iPad case for someone who is always on the go. Although similar to its predecessor, the Handstand 2 is designed specifically for the second generation iPad. The iPad is difficult to manipulate and hold with one hand. This durable case makes it easier to use the iPad while carrying it, and is equipped with a handgrip and rotating disc that allow the user to easily change the angle at which you view the device. Your iPad becomes a natural extension of your arm, leaving you one free hand to work the digitizer. It’s no wonder this is a popular item among nurses, teachers, or anyone else who needs to work standing up. Shown here in Black, the Handstand 2 is also available in white and pink. A flexible and lightweight tripod, the iStabilizer is about as versatile as they come. The legs come out of the box in a tripod shape, but can be adjusted to fold or wrap around almost any object to capture clear and crisp photos and videos anywhere. The iStabilizer switches easily from portrait to landscape mode and works with any iPod touch, smartphone, and even digital cameras. This is the perfect all-in-one accessory for your 6th gen ipod classic or 5th gen video. The hard case features an arm to wrap your headphones around, but easily slides away while your cords are in use. The sidewinder also has a built in screen protector and a retractable kickstand for convenient desktop video watching. Style meets Functionality with this award winning iPad hard case. The case fits perfectly while leaving access to all ports, and adds little weight/bulk to your iPad. The case has a rubber-like finish to protect it from scratches and makes the device easier to hold onto. Best of all, the Flexi-Gel case is designed to not only be fully compatible with the front smart cover, but is available in coordinating colors. This sleek protective case for the iPhone 4 doubles as a bottle opener. Need we say more? Don’t worry. The case is designed to absorb the shock of bottle opening rather than putting the pressure on the phone itself. The case also comes with a free app that counts the bottles you open, and allows you to play sounds and display pictures every time a drink is opened. Inspired by traditional book binding techniques, this case for the iPad 2 leaves nothing to be desired. The exterior is a black Moroccan cloth, while the soft interior comes in an array of colors. The front cover doubles as a stand and the case has an elastic strap to hold the ‘book’ closed while not in use. Overall, the DODO case is the perfect cover for someone who doesn’t want to substitute style for functionality. The pogo Sketch Pro is every artist’s dream. The redesigned aluminum tapered body resembles a paintbrush and is longer than most other stylus options currently on the market. It comes with 2 different pro tips for drawing and can be used at any angle with the pro tip design. The stylus has a rubber grip for added comfort and the individual tips can be purchased for easy replacement. The iPad 2 Summit Case is a two-piece folio type case that protects the front and back of your iPad while adding as little bulk as possible. The exterior of the cover has built in ridges that allow you to use the case as a stand- with 3 different viewing angles- and uses Smart Technology to turn the iPad on/off when the case is opened or closed. The protective interior shell is both durable and lightweight, and is available in other colors too. Our top selling Accessory, this rugged case was designed to keep your 13” Macbook or Macbook Air safe and sound- protected on all 6 sides. The case is equipped with a reinforced handle and removable organizer pouch for your laptop’s wall cord and accessories. The bag also has rings to add an optional shoulder strap, and a clear ID pocket on the side panel. Weighing right around 1 pound, this is a chic yet practical bag – perfect for the minimalist! Looking for a different accessory? Click HERE to browse our full list of accessories by device. We received our Amazon Kindle Fire today and promptly began the disassembly. 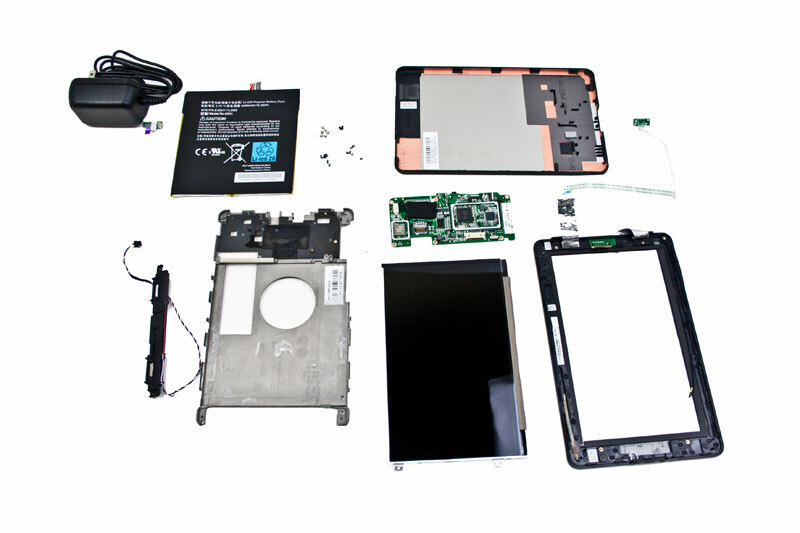 Below is the very first Kindle Fire Take apart video. We’ve released our Motorola Droid 2 repair guide video. This video covers the entire disassembly of the Droid 2. It will show you how to completely disassemble the smartphone to replace components such as the lcd display. It’s important to love what you do. If you don’t, work becomes meaningless and life uneventful. Here’s yet another reason why I love what I do. Thanks to our team members who dressed up today and make our workplace a great place to go to everyday. We’ve received several reports of customers having problems with voice echo on their iPhone 4S. The echo does not immediately start during a call, but instead appears anywhere from 2-12 minutes into a call. Multiple iPhone 4S changes and headset changes produce the same results. 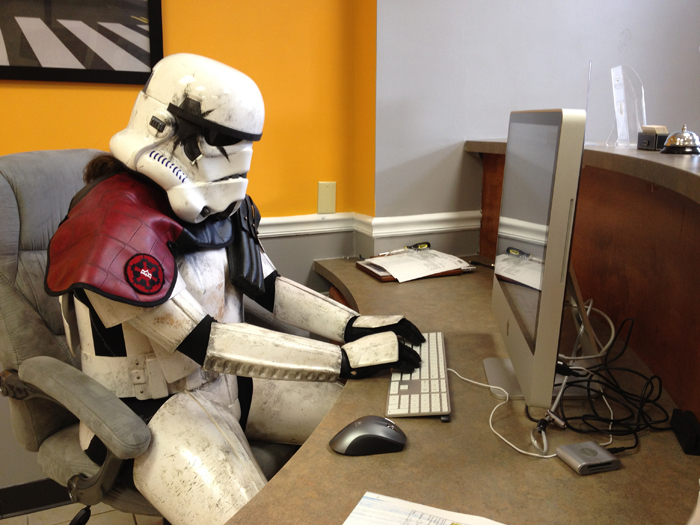 The problem appears to be software related. When experiencing the echo, turn the speaker function on and off. This should clear up the issue temporarily and will have to be repeated every time the problem occurs. If you’re having similar issues, please let us know the specs on your carrier and models. The problem seems to be independent of size or color at this point, but the more information we have, the better. ** If you restored from a previous backup, please note that in the comments. If you started fresh, please note that as well. If you did restore, please also note what device you upgraded from. Here is the full video of the iPhone 4S take apart. The video includes both disassembly and reassembly. We’ve just released our iPhone 4S Take Apart video. This is Part 1 of the video. Part 2 will up shortly which will finish disassembly and have reassembly as well.